On February 22nd, the first day back to work after the Chinese New Year holiday, Dalian Wanda Group held its 2018 New Year’s Greeting Party, which was both concise and informative. At half past eight in the morning, the New Year’s Greeting Party started on time. Chairman Wang Jianlin made a brief speech lasting five minutes. 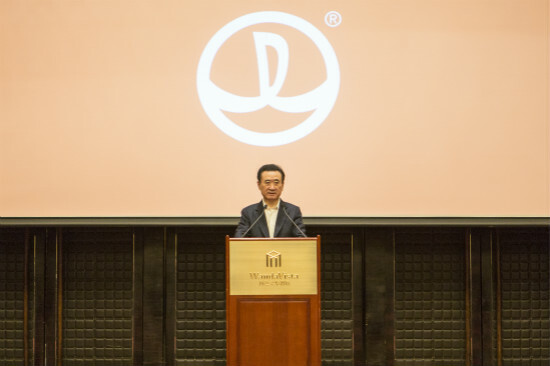 He wished all employees a happy New Year, expressed his hopes for the Group’s work in 2018, and encouraged all of them to celebrate the 30th anniversary of Wanda’s founding with all-round accomplishments. In line with past practice, the annual meeting for each year aims to wish you all a happy Chinese New Year in advance, while the New Year’s Greeting Party extends a belated Chinese New Year greeting to you all. Therefore, the first and most important part of the New Year’s Greeting Party today is to take this opportunity to extend the Chinese New Year’s greeting to all of you here and to all our employees. Although the Chinese New Year fell on February 15th, it is not too late to extend my New Year’s greetings to all of you since the first month on Lunar calendar is considered as Spring Festival, let alone it’s not yet the Lantern Festival. It is therefore still the right moment for me to wish everyone a prosperous, successful and healthy year! Rainbows appear after the storms. Although Wanda experienced disturbances last year, there are two sides to everything. The disturbances proved that Wanda is indeed an excellent company. 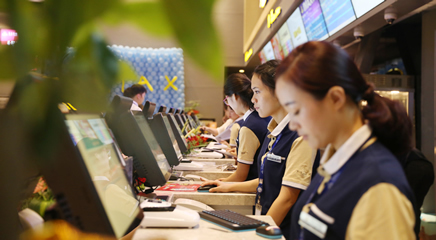 In the face of sudden tensions and shocks, Wanda has been able to withstand the pressures and disturbances, largely reversed the situation through its own efforts in only half a year. Since the beginning of 2018, you have seen a series of our actions. Next, we will continue to take a series of good initiatives and gradually unveil them to the public. The disturbances just prove that Wanda is such an excellent company that can withstand any shocks. There are very few Chinese companies like this, especially of such size. For Wanda, it turns lemons into lemonade. The disturbances have driven us to undertake a serious and thorough adjustment of our business strategy, get rid of some burdens and fully adopt our asset-light strategy, meanwhile taking the heavy assets into consideration. And some achievements have now already been made. We also set higher goals for this year and hope that Wanda will do even better in 2018. I also hope to welcome the 30th anniversary of Wanda’s establishment with all-round accomplishments. The year 2018 is of great importance to Wanda. 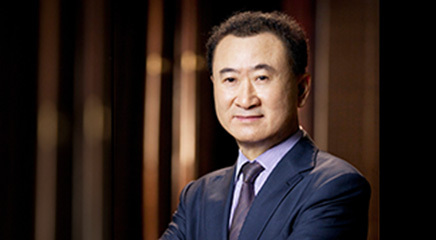 This August will mark the 30th anniversary of Wanda’s founding. Although three decades was a long time during a person’s lifetime, 30 years was just the starting point for any long-lived companies around the world. Therefore, it is our new starting point. How should we celebrate it? By taking practical actions and stronger results. 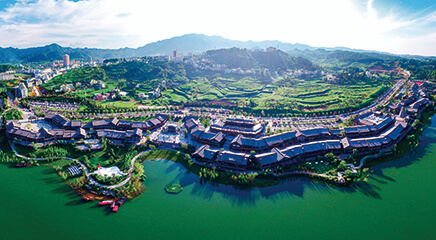 I hope to welcome the 30th anniversary for the establishment of Wanda with all-around achievements, and we will go to Qingdao for our annual meeting. This year, a series of meaningful, frugal and practical celebrations will be held that can express our emotions. I hope that all divisions will step up your efforts and work hard from the beginning of the year. We shall be engaged in work after getting recharged from the holidays. We shall not wait till the latter half of the year to cram, but always strive for exceeding our target. I hope that all of you, especially the President’s Office, will review our work on a monthly basis. And I also hope that you all welcome the 30th anniversary for Wanda’s establishment by delivering a performance that meets or surpasses our target. In addition to making achievements in work this year, we must also make certain breakthroughs in aspects such as corporate capitals. All in all, I hope we celebrate the 30th anniversary of Wanda’s establishment with excellent achievements, by which time we will sing together "the Song of Wanda". The song is now being composed and any review is welcomed. I wish you again a prosperous, successful and healthy year! Share this article on Facebook, Twitter,Linkedin and more.